Go to AE Template -> Add new to create a new AE Template which will be used for search layout. Enable Canvas: Select this if you want to use Elementor canvas for the search page. 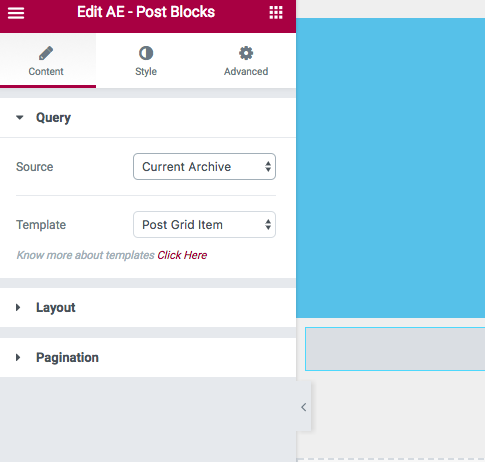 For search result, you will have to use AE - Post Blocks widget with the following configuration. You won't be able to preview the result part, so temporarily switch the Source in AE - Post Blocks to "Posts". This will show you all posts. Configure rest of the settings of Post Blocks widget and once done switch back source to "Current Archive"
DONE!! Now search on your site and your search page will reflect this design.